Dare you ride the real ghost train? 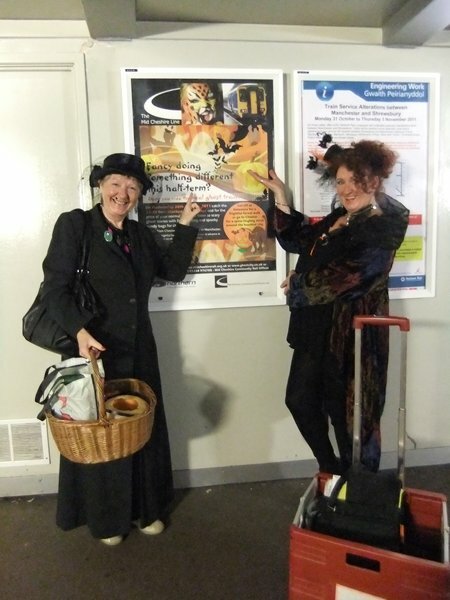 Our friendly ghost guide and face painter pose by the 2011 ghost train poster at Stockport Station – dare you ride the 2012 ghost train ....?? ?